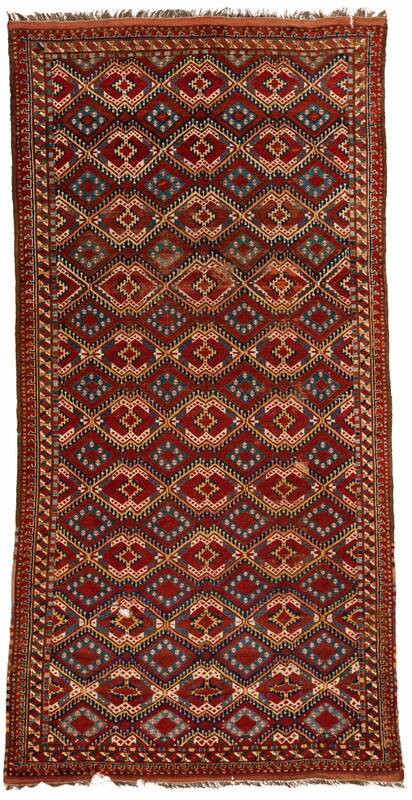 Central Asian Rugs / Antique Turkmen Ersari-Beshir 5'9"×11'8"
This is rather large for a Beshir tribal rug. 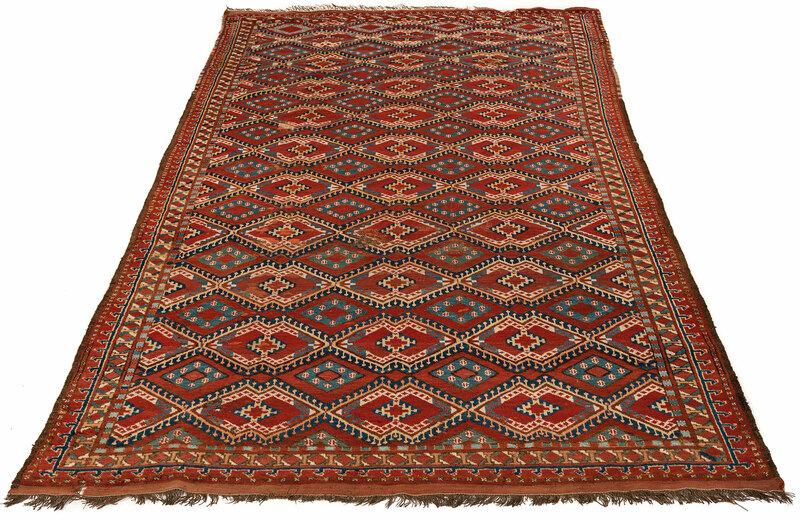 A repeated lozenge design covers the deep red main field. 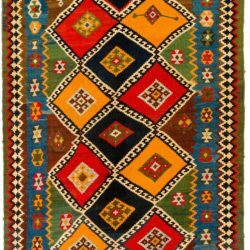 The main border, with its geometric design, is quite narrow in relation to the size of the main field. 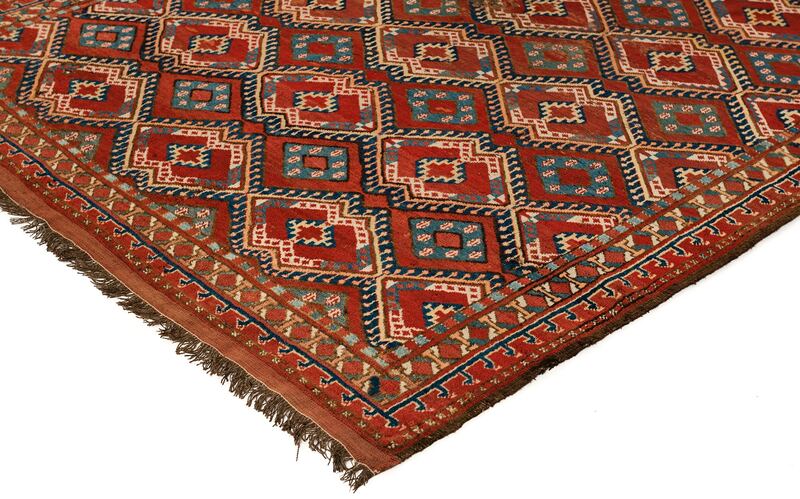 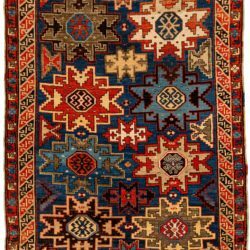 Antique Caucasian Bordjalu Kazak 4'4"×8'6"
Antique Caucasian Lesghi Star 6'1"×11'1"